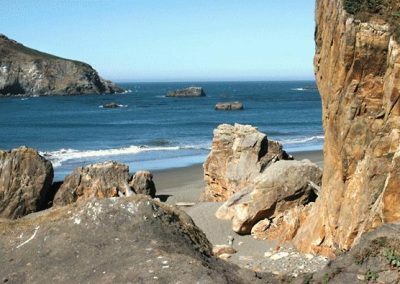 Your first impression of Harris Beach State Park will be a locale with marvelously varied terrain. You can walk the beach and run from the waves. 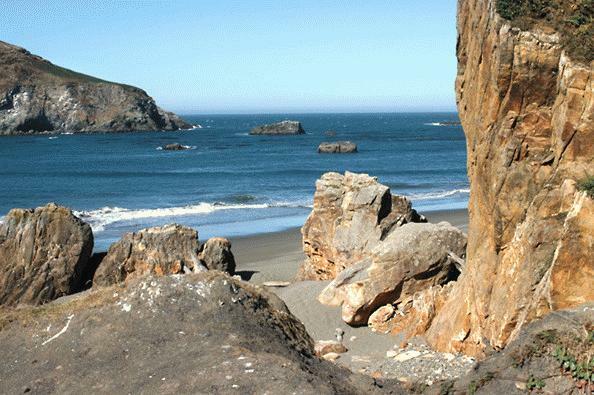 Climb to the top of a large rock for a great view, while resisting the temptation to add your graffiti to a small one. 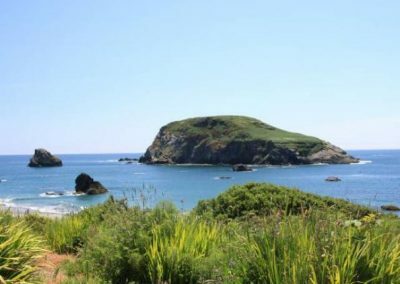 You will want to stroll on adjacent beaches that are crowded with sea gulls but secluded enough for a secret romantic interlude. Feel free to search the low tide for black turban snails, california mussels, sea stars and the occasional octopus, just be sure to look and not touch. If you stay around to watch the sun go down and the darkness rise to greet the sky, you might get a second impression. This could just be the place where Wynken, Blynken and Nod sailed off to sea in a wooden shoe. The vistas are just too good for anything but the unencumbered imaginations of children. 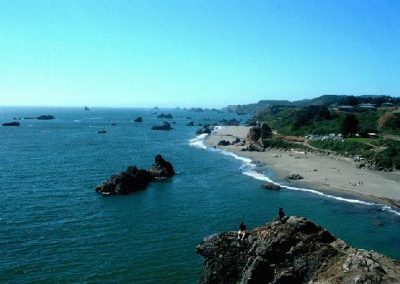 Harris Beach features a rocky coastal area and has both day use and overnight sections. Towering above the day use area is a large campground with tent sites, campsites, RV sites hiker/biker sites and yurts. The campground site is forested and close to local services. 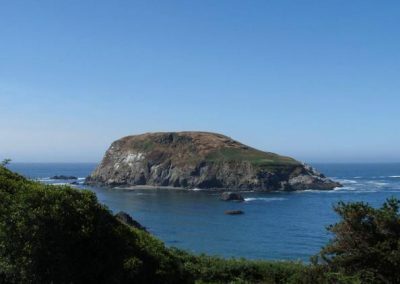 The day use segment centers around access to the beach and features a scenic view of Bird Island, the largest island off the whole Oregon coast. 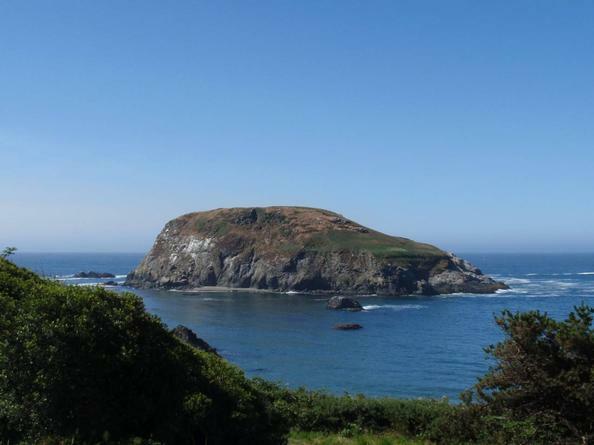 Bird Island is a national wildlife sanctuary and breeding site for such rare birds as the tufted puffin. 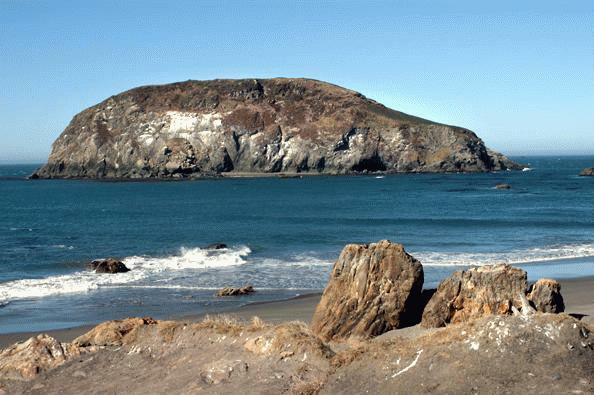 It and other splendid off shore rocks and sea stacks visible to its left and right are home to seals and sea lions. 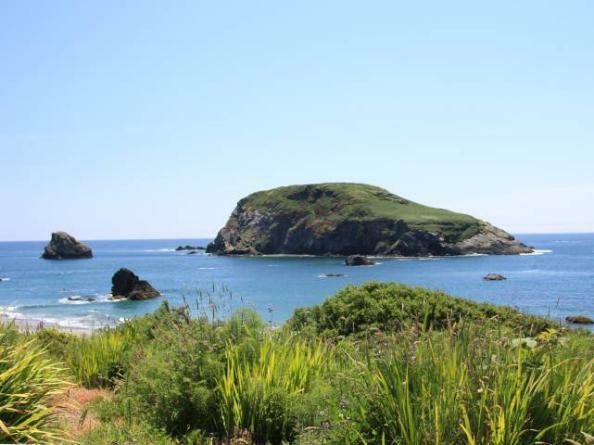 You may also glimpse some of the grey whales sometimes spotted here during their winter and spring migrations. The park’s beauty changes with the seasons. Many people are drawn to watch the powerful and dramatic winter storms. Others seek the green and fragrant spring. 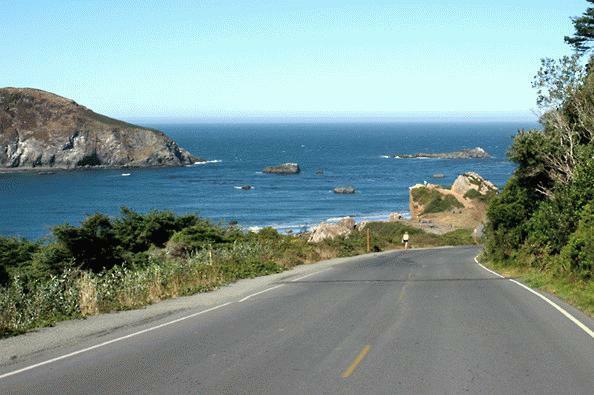 Summer brings warm days and sunlit beaches while the fall brings clear, cool days and spectacular sunsets. 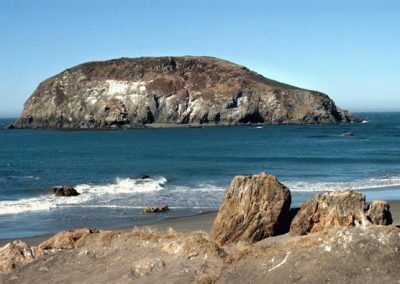 Because Harris Beach State Park Day use area, is a popular spot for local citizens to get out and enjoy the Pacific shore line and ocean, you are sure to have a pleasant encounter with some of Brooking’s locals during your visit. . . . not to mention a chance to have a brush with Wynken, Blynken and Nod. Harris Beach State Park is located one mile north of the center of Brookings, Oregon. 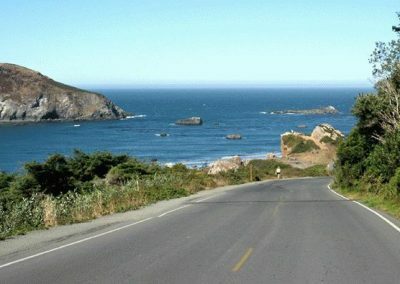 It is just off Highway 101, directly west of the State Welcome Center.